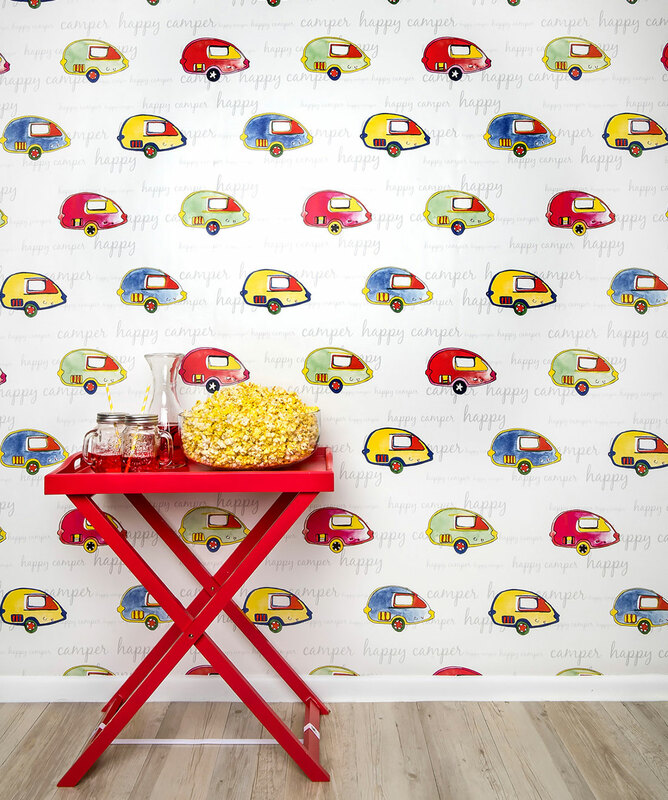 This removable wallpaper was inspired by Paula Coop McCrory’s children, who are also known as her ‘happy campers’. 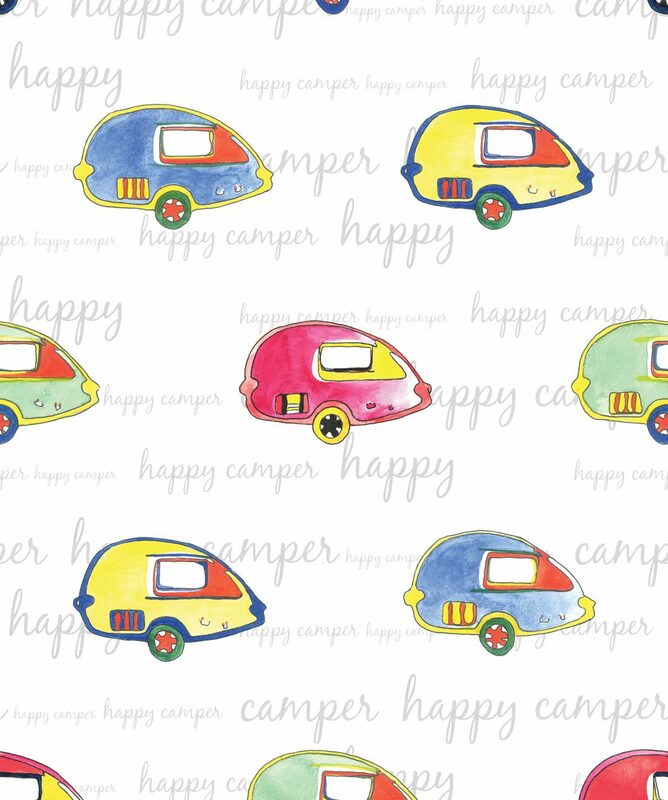 Inspired to preserve their childlike sense of adventure, she designed Happy Camper to add color and fun to your home. 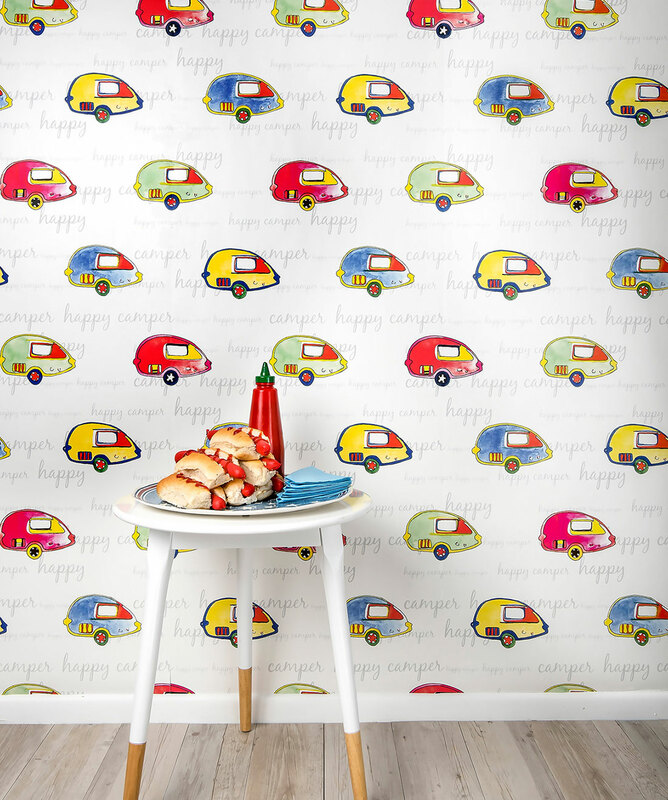 This design is all about finding happiness within and hanging on to the wonder of youth and travel. As a mother and former artist, Paula Coop McCrory is skilled at balancing her aesthetic sensibilities with childlike designs. 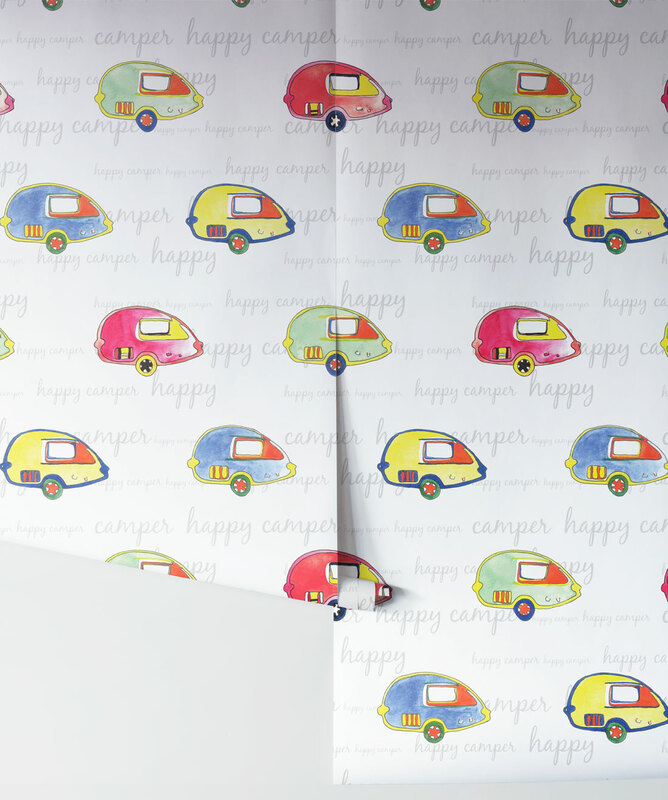 The joyful Happy Camper is a durable wallpaper ideal for children’s rooms.